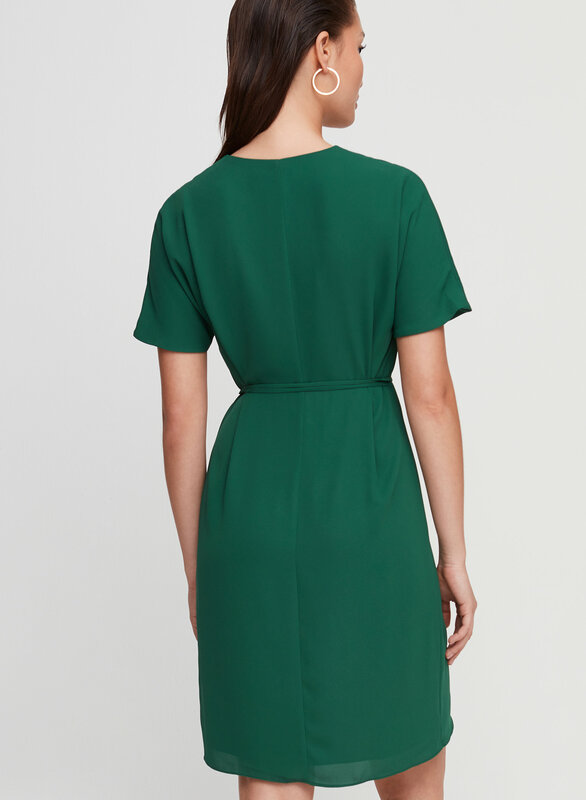 You just can't go wrong with Babaton's staple wrap dress. 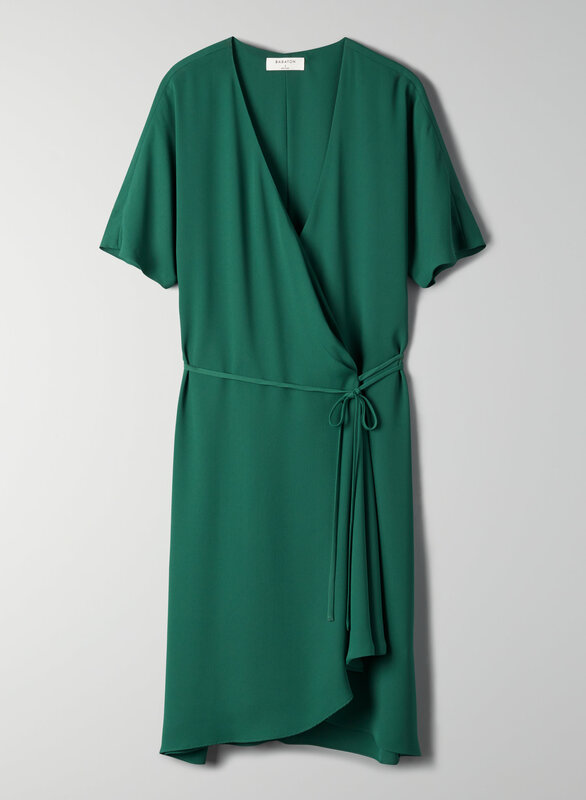 This is a short, flowy wrap dress with a deep-V neckline. The sleek fabric drapes beautifully.